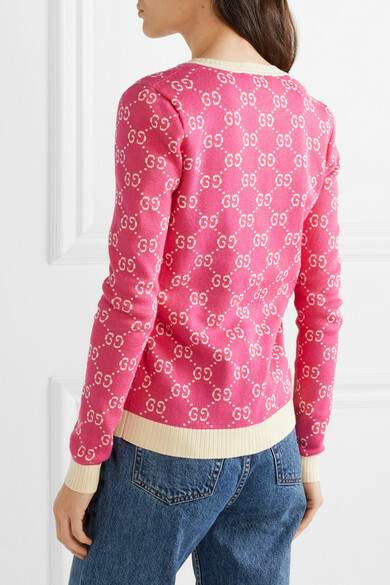 Gucci's cardigans are a core style for the house, but Alessandro Michele is constantly updating the colors and fabrications to ensure they always feel fresh. 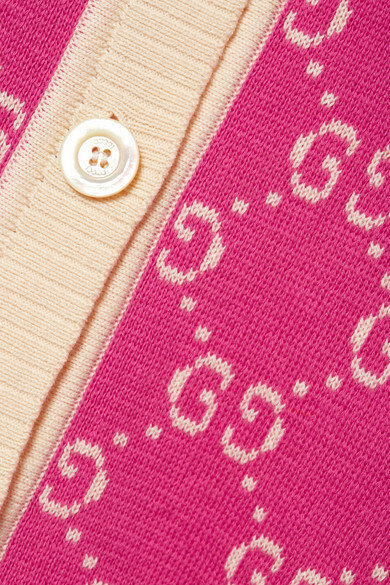 Spun in Italy from fuchsia cotton-jacquard, this version is woven with the iconic 'GG' motif in beige to match the ribbed border and row of mother-of-pearl buttons. Shown here with: Gucci T-shirt, Ksubi Jeans, Prada Shoulder bag, Prada Sandals.